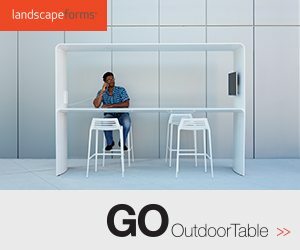 An American landscape architect and one of the icons of 20th century landscape architecture. Her impressive and controversial gardens are very different from what we are used to – sometimes they even contain neither plants, nor water! Schwartz’s favourite materials are plastic and stone. The characteristic features of her designs are bright colours, sharp lines and artificial structures. 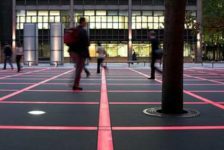 Her background is both in the fine arts and in landscape architecture, and her projects range from private to urban scale. 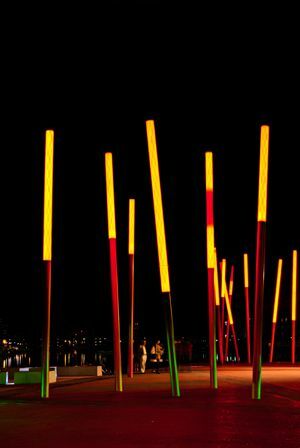 Her most recognisable works include the Splice Garden in Cambridge, Massachusetts and Jacob Javits Convention Center Plaza in New York, as well as Dublin Docklands in Ireland. 9. Antoni Gaudí This Catalan architect, born in Reus in 1852, can be only called by one name: a visionary. His style was absolutely unique. It included neo-Gothic elements together with Oriental influences, passed through mainstream Modernism, culminating in an organic style inspired by nature to form an original mixture unrivalled by any other architect since. Gaudi rarely drew any plans, preferring instead to work with casts or scale models. Apart from architectural work, such as the famous church Sagrada Família, he was the designer of an incredible park in Barcelona – Park Güell. 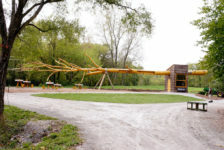 The Park is a masterpiece of design, full of flamboyant objects such as sea serpent – shaped bench or the famous salamander. It is one of the most original landscapes ever created, inspiring the visitors and expressing the personality of its designer. 8. Thomas Dolliver Church Born in 1902 in Boston, Church was one of the most important landscape architects of 20th century. 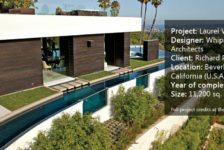 He is known for respecting the surrounding landscape, the local conditions, traditions and plants, as well as the client’s wishes. His modern, simple, functional but elegant gardens were complimenting the house and were inspired by contemporary art. One of his most famous works is his own residency of El Novillero in California. He designed also several larger projects, for example UC Berkeley, UC Santa Cruz, the grounds of the American Embassy in Havana, Cuba, and the Mayo Clinic in Rochester, Minnesota. He also wrote a book carrying a very important message for modern landscape architects – “Gardens are for People”. 7. Sir Geoffrey Jellicoe One of the greatest English landscape architects and also an architect, born in Chelsea in 1900 and definitely the best known English landscape architect of his generation. Apart from designing and re-designing a multitude of gardens and parks, he was an author of many books on landscape architecture and garden design as well as a founding President of IFLA – International Federation of Landscape Architects. 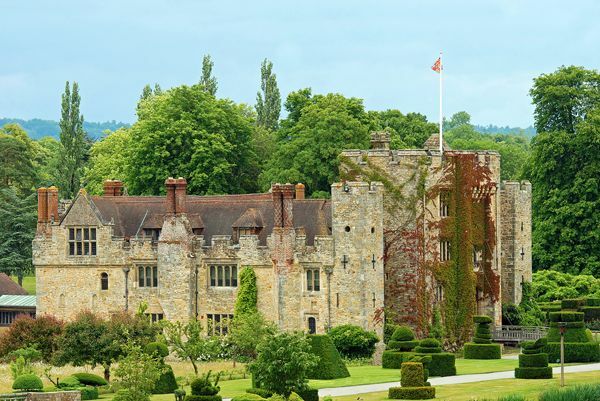 Among his other works we can find the Kennedy Memorial, Sutton Place Garden and Hever Castle Garden. Roberto Burle Marx A Brazilian landscape architect, known for introducing Modernism to Brazil. Born in 1909 in São Paulo, he became interested in garden design thanks to his parents. In his projects, he habitually used native plants to create blocks of colour. He had a vast knowledge of Brazilian botany and a large collection of the plants in his estate Barra de Guaratiba. He treated his landscapes like abstract paintings, always approaching his work with total perfection. His projects have a sense of timelessness and they work with nature, instead of against it. Symmetry is not found in his projects, instead the plants are grouped in large clumps of one species and the water bodies are pleasantly free-formed. 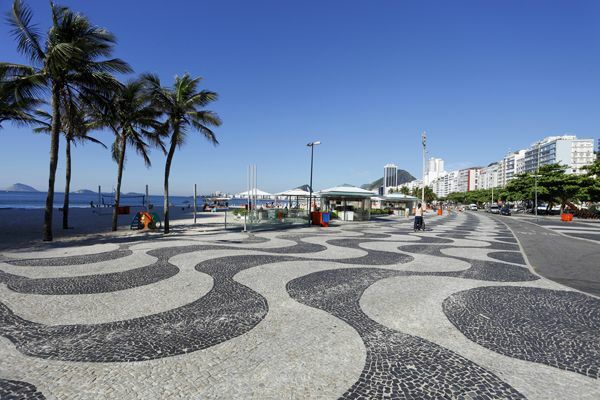 Copacabana Beach promenade, Flamengo Park in Rio de Janeiro and Kuala Lumpur City Centre Park are only a few among many of his famous designs. 5. Gertrude Jekyll Gertrude Jekyll is an inspiration to female landscape architects, possibly the best known female designer of all time. With her eye for the colour and sensitivity to form, she created some of the most beautiful gardens in the UK, Europe and the US. Born in London on November 29th 1843, she became interested in plants and gardens already as a child. She studied arts, colours, optics and botany – all this knowledge proved beneficial in her later life and work. She treated the garden as canvas, painting it with plants of different colours and textures. Yet, she never failed to choose the right plants for the conditions as her knowledge of botany was also immense. We can still admire some of her work – gardens of Greywalls, Hestercombe, Upton Grey, the Secret Gardens of Sandwich and many others. 4. Peter Josef Lenné Born in 1789, this Prussian landscape architect is famous for his landscape parks. 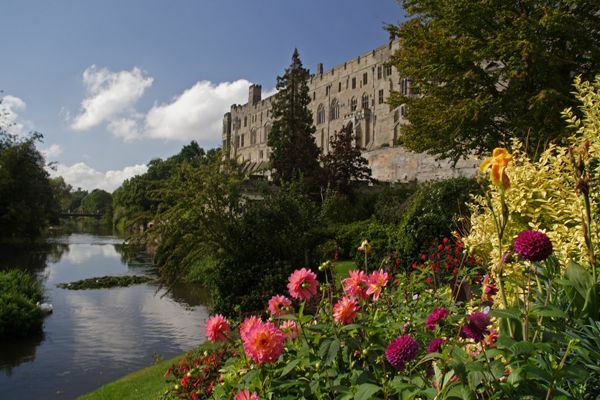 He planned and established over 250 parks, mostly palace and castle gardens. He designed many parks in Potsdam, most notably park Sanssouci, park Babelsberg, the Tiergarten in Berlin and many others. We can also visit his parks in Frankfurt (Oder), Leipzig and Koblenz. His plans are characteristic for spacious lawns, attractive views of surrounding landscape and picturesque groups of trees and shrubs. Many sites of Lenné’s work are now World Heritage Sites. 3. Frederick Law Olmsted This American landscape designer, popularly considered to be the father of American landscape architecture, was born in Hartford, Connecticut on April 26, 1822. 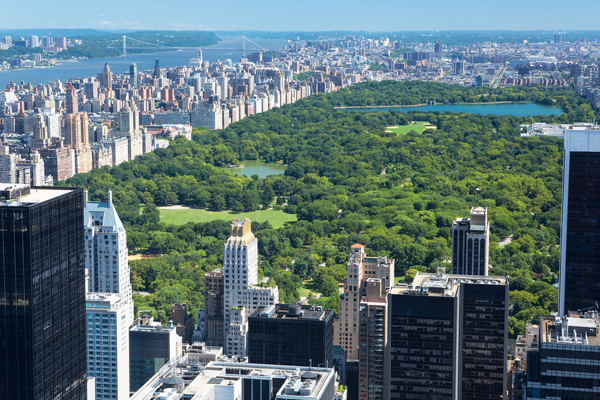 Together with his senior partner, Calvert Vaux, he designed many of the famous urban parks in America, most notably Central Park and Prospect Park in New York. 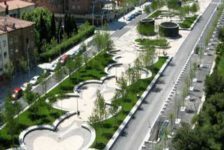 He believed that urban green spaces should be available equally to all citizens from every social class, which gave the foundation to the modern idea of a “public park”. 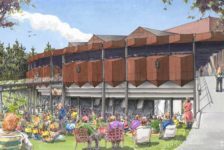 He was also a designer of entire systems of parks and interconnecting parkways, connecting certain cities to green spaces, the author of numerous school and college curriculum and the architect of the first planned community in the United States – the Riverside in Illinois. 2. André Le Nôtre Born on March 12th, 1613 in Paris, this French landscape architect had a major influence on Baroque gardens in Europe. From the beginning of his career he worked for aristocrats and royals. Later on he was appointed the principal gardener of King Louis XIV. There is no doubt about his most famous work – the Gardens of Versailles, which he designed and built for King Louis XIV. 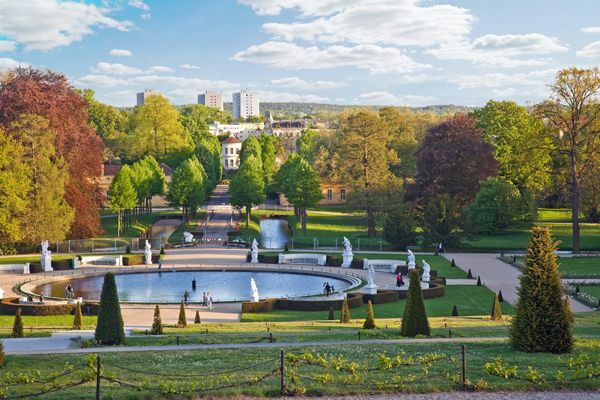 Other interesting projects include gardens of Vaux-le-Vicomte, Fontainebleau and Greenwich Park in London. 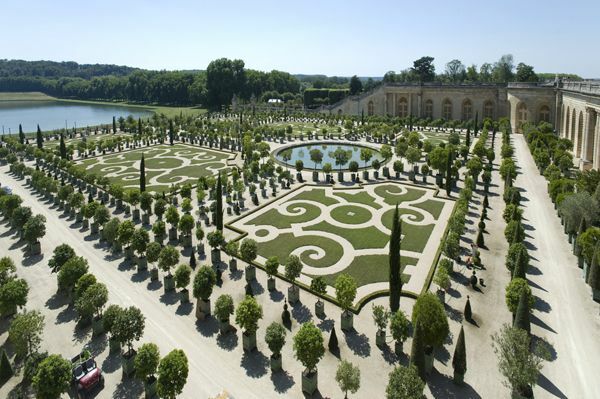 Le Nôtre’s gardens are characteristic for the height of the French formal garden style and include parterres, water basins, fountains, bosquets and avenues. Lancelot “Capability” Brown This British landscape architect was nicknamed “Capability” for his habitual speaking of a country estate having a great ‘capability’ for improvement. Born in 1716, he designed and re-designed over 170 new parks surrounding the finest country houses and estates in Britain, among others at Croome Court, Blenheim Palace, Warwick Castle, Stowe and Milton Abbey. He implemented the clumps of trees of varying heights and was fond of irregular, soft, curving lines. His aim in design was to copy nature as close as possible. During his life and long after his death in 1783, he was criticised for constant “improving” of the landscape and destroying many of the older, formal English gardens. He is to this day still considered “England’s greatest gardener”. 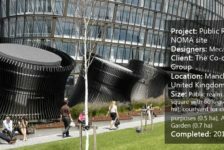 Is The Public Realm for NOMA Site Representing the Future of Sustainable Eco-cities?